9 Bedford Row International – The Exercise of Punitive Measures – Justified under Israeli Law but a Violation of International Law? The Exercise of Punitive Measures – Justified under Israeli Law but a Violation of International Law? Israel has for some time been condemned for its approach to civilians in the West Bank and Gaza, and yet it still maintains that they are committed to lasting peace and reconciliation. It continues to maintain that it is acting in reasonable self defence against a militant group and describes the Israeli Defence Force (IDF) as the most moral and restrained military force in the history of armed conflicts. The conduct of the IDF over the past few weeks does not demonstrate a military force that is moral or restrained and now serious questions must be asked as to how it can maintain it has such a commitment to a peaceful resolution when it still practices a clear policy of collective punishment that does not achieve anything positive; it merely serves to foster discontent and contempt. On 18 August 2014, Israeli troops demolished the homes of two Palestinians it ‘suspects’ of the abduction and killing of three Israeli teenagers in the West Bank in June. It is important to note here that the brutal killing of the three teenagers (insert names) must be condemned in the strongest terms and those responsible brought to justice. However persecuted one feels by an occupying force, and the feelings of Palestinians runs deep, targeting civilians, and particularly children, can never be justified on any grounds. Nevertheless, there are a number of significant issues to be considered. The first is the fact that the Palestinians in question are suspected of being responsible. There has been no trial, they have not been convicted, and yet, in the absence of any due process, the Israeli security services, and government deems it appropriate to punish them in this abhorrent and medieval manner in any event. Punishment prior to conviction can have no place in any democratic society. The second issue is that arguably it is not the suspects that have been punished by this act. The suspects are held in custody (or at large) and therefore will not suffer the consequences of the demolition. It is the suspects’ families that will now suffer; their wives and children. These blameless individuals are now effectively homeless with their properties having been destroyed by an Occupying Force that clearly has no respect for the rule of law. This conduct is purely vindictive. It simply cannot be deemed acceptable that a suspect’s family is punished for offences that may or may not have been committed that they have had no part in. Coming back to the first statement, such actions merely foster discontent and further contempt for Israel at a time where peace talks hang in the balance. The response by the Israeli authorities is that they have clear evidence of the suspect’s involvement in criminal acts. They maintain that there is a clear basis for the destruction of property to serve as a deterrent to others engaged in militancy. However, whilst the laws of most democratic nations that adhere to the rule of law allow for certain punitive actions, such as the seizing of property acquired through the proceeds of crime, the destruction of family homes is so disproportionate that it is unlikely to find any justification in any law books however antiquated. A further issue to be considered is the clear discriminatory practice on the part of the Israeli Government. Mohammed Abu Khudair was a 16-year-old Palestinian boy who was murdered by 3 Jewish suspects in an apparent revenge killing. One would have thought therefore, that as much as the process of demolition is clearly unlawful, that their homes would have also been demolished given that they were suspects in a murder and therefore no different to the Palestinians suspected of murdering the Israeli teenagers. No such order has been made however and there is nothing to suggest that it will be. There is weight to the argument therefore that the law is applied differently, dependent upon whether the suspect is Israeli or Palestinian. To apply the law on a clearly sectarian basis will not foster peace, it will not encourage all residents to live in harmony; it will simply increase the distrust and anger towards Israel. 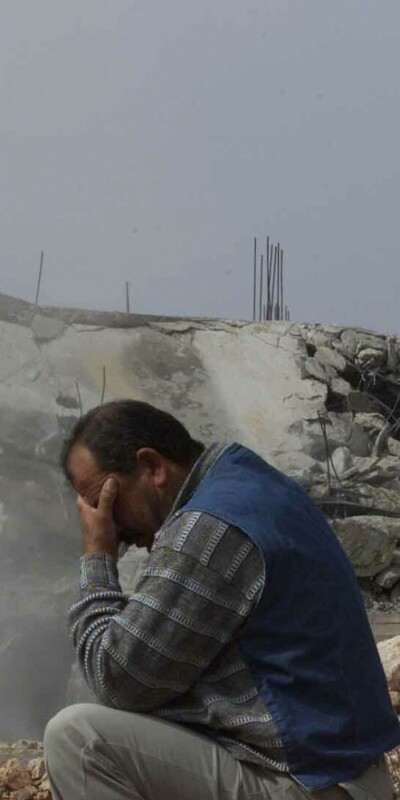 It is difficult to see what possible justification there could be for such actions being taken; Israel seeks to suggest that the demolishing of houses is used as a deterrent, and therefore is not collective punishment and therefore does not violate international humanitarian law. However this claim has no basis whatsoever. There is no evidence to suggest that it is an effective deterrent, and in any event, this does not circumvent the fact that the denial of due process is unlawful. The Fourth Geneva Convention provides for an absolute prohibition on collective punishment without exception. The Hague regulations however do recognize a narrow exception, that being where the occupants of the house intended for demolition knew or could foresee the act for which the army intends to demolish the house and had the opportunity to prevent it. If such actions are justified on the basis of this exception, it is difficult to see where the process could end. The family may not have known of an intended offence, but a friend might, does that mean the friend’s house should be demolished instead, or in addition. How far down the line does one go in punishing those who may or may not have known the intended consequences. If it is that there is evidence that others were involved, or others failed to prevent a crime from being committed, then there are already mechanisms within Israeli law to deal with this i.e. the offence of failing to prevent a felony. This is a further example of how Israeli law discriminates against Palestinians and understandably; there are those who would seek to argue that there is a clear racial bias. What is clear however is that following the recent armed incursion into Gaza, there is a humanitarian crisis, thousands have lost their homes through shelling, sanitation has been damaged, provision of water and power is at significantly reduced levels. These are all civilians who have not been party to attacks on Israel and yet it is those who suffer. Similarly in the West Bank, families who have not attacked Israel are being made homeless and suffer, simply because the Israeli state deems it appropriate to punish family members of the accused whilst he is still just that, accused. If Israel has a real commitment to peace, it must immediately cease the arbitrary and unlawful punishment of the innocent, just the same as Hamas must disarm and cease attacking Israel. Unless both sides show a genuine commitment, the position will never be resolved and the revolving door of the past 50 years will continue to spin.